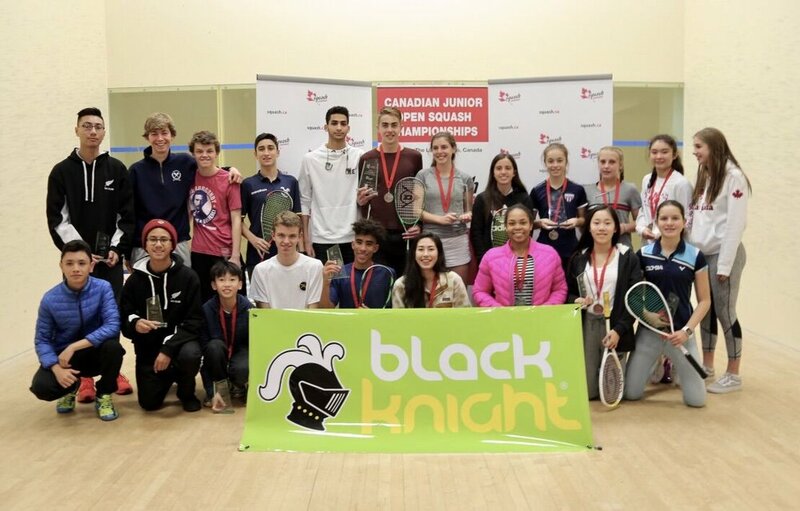 On the courts of The Club at White Oaks, Canada’s largest international junior competition concluded with a Columbian who played the near perfect tournament, dropping only one game on his way to the Boys U19 title. Matias Knudsen entered the 2017 CJO as the #1 seed in the division, after having finished 14th at the most recent World Junior Championships, and lived up to his seeding with a number of convincing wins on route to clinching the title. 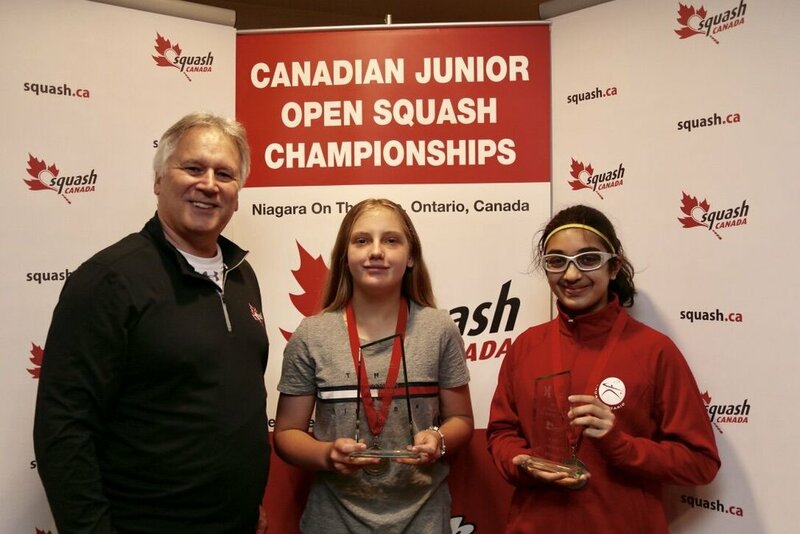 The Girls U19 final was a repeat of the 2017 Canadian Junior Squash Championship when Canada’s Andrea Toth and Emma Jinks hit the courts for the championship match. 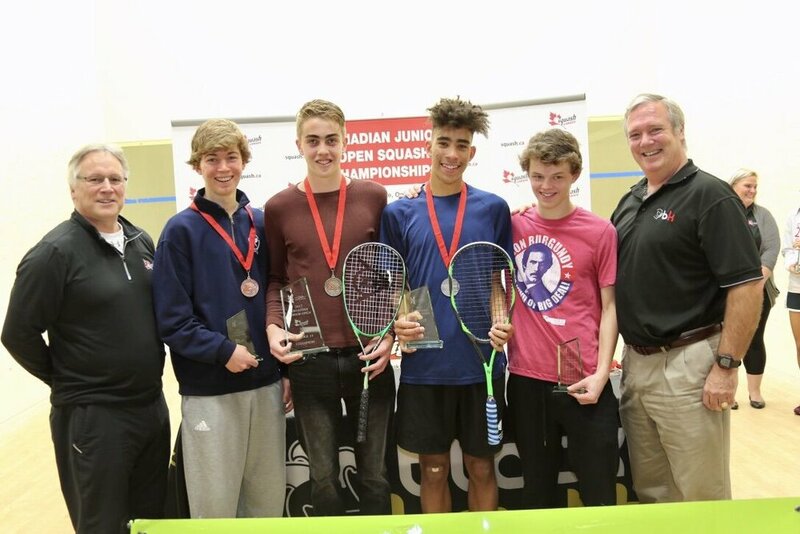 The Canadian duo battled it out, with Jinks capturing the title for the second consecutive time in their head-to-head history. With the largest International contingent in the history of the event, the 2017 titles were captured by 5 different countries. Each division produced a new champion from the 2016 edition, a true reflection of the growth in the depth of competition at the CJO in recent years. 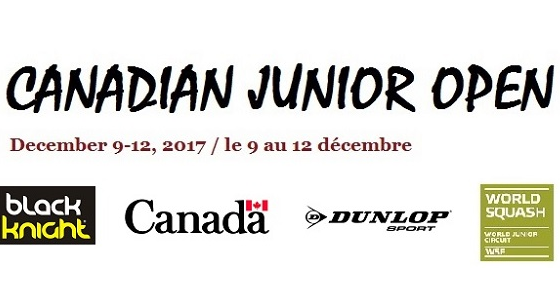 Amongst a strong competitive international field, 10 Canadians podiumed with one Canadian claiming a championship title. 3rd Place – S. Cao (CAN) vs. Newer PostHERE'S TO THE 2017 CHAMPIONS!